Before you proceed with the production process of palm kernel oil extraction, you may want to read the previous article: How to Start Palm Kernel Oil Extraction Business. The article tells us the viability of the business. We see that the demand for Crude Palm Kernel Oil (CPKO), palm-kernel Cake (PKC) and Palm Kernel Sludge (PKS) in the market is very Huge, and as a matter of fact, the demand for it is all year round plus the profit in this business is amazingly good. We also see that due to the high demand of the products, the buyers sometimes book for the products in advance. Sometimes, buyers even pay in advance in order to secure products. I won’t write further about the business as the article referenced above is self explanatory. However, I present below the production process, machinery requirement and an updated profitability analysis of the business. The oil press presses the seeds, and expels the oil content of the seeds through the oil exit chamber, and at the same time expels the cake through the cake exit chamber. The crude oil is collected in drums or over-head tanks and left to settle. Since the sludge (sediments) is denser than the oil, it settles below the oil. The oil can then be collected separately from the sludge. Two to three persons can conveniently operate the machinery. Below is a brief description of the machinery used. »Function: Crushes the palm-kernel nuts and reduces it to smaller sizes so as to ease the oil extraction process. »Function: Fries/roast the crushed nuts. This process heats up the crushed nuts, thereby exciting the oil molecule content of the nuts. »Note: Their is an oil press with 4T/D capacity; it costs N800,000. From the above, you will need about two million naira (N2,000,000) to procure and install the machinery and also procure about 10tons of raw materials (palm-kernel nuts). 1 tone of palm-kernel nuts gives an average of 410liters of oil, 540Kg of cake, and 25Kg of sludge. Average price for 1tone of palm-kernel nuts is N70,000. »Sludge = N20 per Kg. The above profit is for processing 1tone of palm kernel. Now, if you process 2 tone per day, you get N20,000 x 2 = N40,000 per day as profit, which by extension implies a monthly profit of N1,120,000 (24days). Profit increases as production increases. Note: If you sell your products at a bit lesser price, you will generate much more sales and still make a reasonable profit. If you are a good negotiator, you can get the nuts as low as N(60,000 – 65,000) per ton. 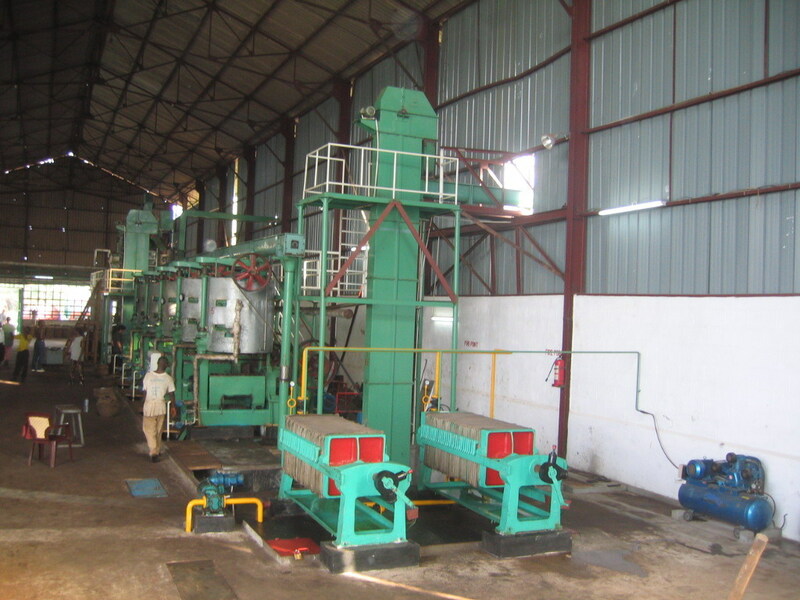 Palm kernel processing business is lucrative and the market for the products is vast. It even extends to the international market. Get buyers, offer them good quality products at competitive prices, and that’s it. If you have much capital to process large quantity continuously, visit Nigerian export promotion council; they will link you to exporters or international buyers. Wishing you all the best in your Quests. Oga Darlinton, Ibrahim A. Bello is the name. You are really doing a good wok here, thanks. 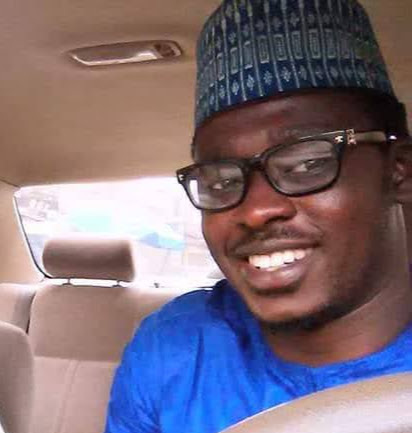 Mr Bello, how are you doing? 😀 Pls forgive me for being silly, not to remember the name of my own person. I have updated the post with the real name. Oga mi this write up is very educative please where can i meet you for one on one discussion. Mr Darlinton you have realliy enlightened me on so many biz opportunities here,most especially on this palm kernel oil biz that I have been searching for an easy guide to venture into in a big way ,your articles here are all on point.may GOD continue to bless your effort for it to be fruitful(In Jesus name)Amen. This is nice cos I also make oil but manually. I'll like to know where I can buy those machines you mentioned so I can increase my output. Sir, this palm kernel & Palm kernel oil biz is cool according to your explanation. But iam confused here on where to buy these machines 1. Nut Crusher 2. Electrical Seed-Fryer 3. Oil-Press (2T/D). Would you please give the address of where to buy them from. Having not gotten any reply from you. I have decided to re-send this inquiry again together with my email address for quick response. May God bless you for all you are doing. I don't know where they are sold but I'm sure Mr Bello will respond to your question and provide the answer anytime he come online. Thanks op for creating this blog. This business is one lucrative and profitable business that can easily be started and progressed on a small scale. We are a firm of engineers and business consultants. We fabricate and install a palm kernel oil extracting factory for interested investors. We will also serve as consultants and mentors to young entrepreneurs who wish to invest in palm kernel oil production. We link crushers to suppliers of raw materials and big buyers of finished products. Call us on 08181926534 or whatsapp us with 08037788438. Please i am also interested in buying the machines. I need the info. thanks. Thanks for these information Mr Omeh, may God continue to bless you. However I notice that you have not mentioned anything about how much one can realise from the sale of palm kernel shell if one want to trade it rather than burn it. All you gave out is appreciative. Do us a favour by giving me either your contact number or email. Keep the informative work up. That’s a nice one Larry. Some of the machines are too heavy for Generators and requires as high as 150KVA to power which inturn will consume a lot of diesel. The most common type of gen people use are the Lister types. Pls we are expecting thee feedback from your finding when you are done. How can I get the machine. I will appreciate your response. Where can I get practical training on the palm kernel extraction business? Does it have to be so expensive aren’t there less expensive ways of starting a press….2 million? That amount will scare of young people who can effectively start and eventually grow to acquiring the bigger machines. Hello All, Though I have not been to Okitipupa but I have been to other facilities around Lagos and spoke with old hands in the business. I came to the conclusion that IT IS NOT a business for lily livered! EXPERIENCE IS KEY! I repeat, EXPERIENCE IS KEY! You want to go into the business, don’t jump on the advice you read on the internent alone, get hands-on experience. There lots of other equipments that are needed to start the business. Storage Tanks, flow meters,Weigh, welding equipment,Vise, sufface pumps etc. knowledge of when to buy nuts, when to store oil, when to sell oil etc. A note of warning, most of the contributors to this topic on Nairaland are FAKE! Beware of them. I am still researching and will keep updating you. Though, I have made my mind about the business, I still need to fine-tune a lot of issues. Good evening Mr. Darlington Omeh. i am interested in the palm kernel business. i want to know more about it. i want to consult on this and other business. i am looking forward to hear from you. i want you to give me your email address as well as your telephone number(s). Please furnish me the address where the seminar is will take place this weekend. Darlington i am interested in the palm kernel business. 1. Do you have a location with steady and cheap source of power? This is the most important factor. If you don’t, don’t put your money down. 3. For the machines, you can use locally fabricated machines or refurbished foreign machines (I’m using 2 of these) or brand new crushers if you have the money. Thank you @Jesus loves you, wonder if i could contact you. I am in Calabar really want to get into the business too. Thanks for your advice again. I am interested in the palm kernel oil processing. For us it’s a forward integration. We have the site , the power facilities already. What I don’t have now is the training. Please link me up with where I can train. If you have steady power and source of kernel supply and wish to go into this business, I can recommend the guy who sourced, installed and maintains my crushers to you. Despite our fear of 419 in Nigeria, you can trust him. My mill is located in Eket, Akwa Ibom state. I will be indebted and grateful if we can talk more about the equipment source. I can verify some claims from you as well. I attacked my email address and wish I can get yours too. Thanks for the precious idea. Please send me the number of the guy you mentioned. Hi Sir, Can i have your mail and and Phone for more information about the palm kernel business pls. @Jesus Loves u, please can how can i meet with u or contact u in regards to buying the machines. Thanks, Mr God loves u, lay interested in the guy that sourced your machine. Call me on. Hello everyone, pls lam looking forward to a reliable source of getting the Palm kernel crushing machine, locally made or good tokunbo, l will like to start the business as soon as possible. Thanks. My question is how easy is it to sell the final product (kernel oil and cake). Whats the best way to find customers? Hi Lolade, we are also into palm oil production. our factory used to be at Ikorodu in Lagos but we have moved to Otta area. The machines can be sources locally from the eastern part of Nigeria, you power with diesel and lister generators for a start. Hello All, i have been trying to go into this business in the past 1.5years. Finally I have purchase my equipment and are now in My warehouse in Nigeria. I am locating the PKO Mill in Abeokuta Ogun State. Which Can use between 5 – 7 tonnes of PKN per/day, so I need PKN suppliers. Please there are so many things that are not in the posts online. To get a good line which include A cleaning Sieve, An electric cooker, An expeller and a filter machine this will cost you a minimum of about $12,000 for a 5 T/day machine. thanks for the informative post. please, what does $12000 currently translate to in naira? a. It is a capital intensive project, as you will need to erect a production structure (factory) and the machines doesn’t come cheap either. b. It is management intensive, as you will need several people to man the various production stages. hello, Mr Ibukunoluwa, presently the price of PK is #170,000.00 per tonne in Osun State. kernel cake and palm kernel sludge. Pls i have a groundnut oil production line in Niger State.can my machines also process Palm Kernel Seed?i have a steam powered roaster,20 horse power expeller,oil filter machine and refinery tankof about 2000 litres..and where can i get the palm kernel seed in Osun? 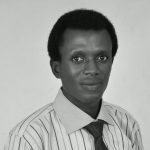 Hyie, Dominic Olim. . kindly put me through as well if you have gotten through the suppliers. Are the machines above same with Thresher, Boiler< presser and clarifier.. as i read in a site these are what are needed to process FFB to PKO. The business is no longer lucrative as it was before. In Anambra area, a bag of palm kernel (80kg) sales for #11,000. You need at least 7bags to produce 1 drum of Pko. A drum of Pko sales for 65,000. This amount is not even close to the cost of production. The PKC from this 7bags will at most be sold for 8,000. Then of what benefit is the struggle? Thanks a million time for this Info, i will love to visit the producer in eket so as to buy pko for my soap production. I am base in uyo,aks.my number is 07032531758.for those that need cracker and separator can also call me for discussion on how to get it.those that need already cracked kernel can also get in touch. Citizen Umoren. Nice one. Many are willing to enter into this business but capital is just there problem. Thank you so much for this information. Pls is there anywhere in Benin city I can get a practical training and where and how can I buy this machines. Thanks op for creating this blog. This business is one lucrative and profitable business that can easily be started and progressed on a small scale. We are a firm of engineers and business consultants. We fabricate and install palm kernel oil extracting factories both on small, medium and large scale for interested investors. We will also serve as consultants and mentors to young entrepreneurs who wish to invest in palm kernel oil production. We link crushers to suppliers of raw materials and big buyers of finished products. Call us on 08181926534 or whatsapp us with 08037788438. Hello Mr. Darlington, first of all, thank you and may God bless you foe your generosity humble concern about others success.This is an inciteful and educative post. You deserve an accolade for your selflessness in making sure that you update the information as promised, God bless you. ::: Please Mr. Darlington, do you have an idea of where or how I can get the required machines “Crusher, Fryer & presser”? I hope to hear from you. Thank you. Please, may I have an industrial office contact, so I can make supply of raw materials. Thank you sir. Hi Sir, Can i have your mail and for more information about the palm kernel business pls.